Depending on the personalities of the two animals, introducing dogs to cats can get awkward or can be a non-issue. This is what I’ve learnt over a number of experiences. Monitoring the their’ body language is your only way of gauging how well the introduction is going, so before you introduce the two, you need to be aware of what to look for. 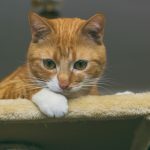 If you cat’s ears become pricked and its tail begins flicking frantically, your cat is not comfortable with the situation and you will need to separate the two. Similarly, if the dog begins to bark, or stiffens and stares intently, it could be a sign that it sees the cat as prey and you will need to act quickly to prevent an impending bloodbath. You are looking for signs of relaxation from both animals. They may stare and become inquisitive, but at no point should this turn into a fixation or stalking from either animal. This is particularly important when introducing a dog to kittens. 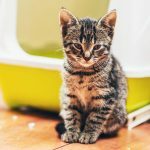 Kittens have not built up a fear of dogs and you need to be extra sensitive to any signs of aggression in the dog during these meetings. Mind you, I have had situations where the two were instant friends, so it really depends on the individual situation and animals involved. Selecting a location for the first meeting is important. A dog’s behaviour can change depending on the location, so just because your dog is comfortable with the cat inside, doesn’t mean that they won’t they try and hunt the cat once they are outside together. Try introducing the pair inside first, then once they are confident and relaxed in each other’s company inside, you can supervise them on outdoor excursions together. 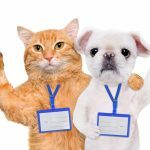 You should ensure that the new cat has a safe and isolated room where they feel comfortable before you introduce them to an established dog. They should be comfortable in their area of the house and the people residing in the property, then you can begin introductions with the non-human species of the house. A stairgate is a good way to allow a visual meeting, without any danger to either of the pets. If your dog shows signs of stalking during this meeting, separate them, and gradually build up the exposure. Let the dog focus on the cat for a moment, then distract it with a toy and refocus its attention. Reward it for focussing on the toy instead of the cat. Do this several times a day until the dog no longer sees the cat as something to become fixated on. Try and feed them on opposite sides of the same door. This will get both parties used to each other’s scent, and they will associate it with a relaxing activity like eating. If you stick to this process, eventually the dog will become un-phased with the cat’s scent and appearance and can eventually meet each other without the stairgate separating the two. Keep meetings supervised for at least the first month. Even if the two seem to get along fine when you are around, you want to make absolutely sure everything will be safe when you leave the house. 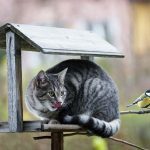 So for the first month at least, give each animal its own private space when you go out. 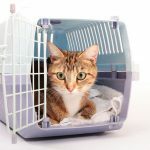 Is there anything you can add to help new pet owners introducing new pets? We’d love you to share your experience and knowledge with the growing community at OnDECK by DINGA.